Parents who played with Pound Puppies, Cabbage Patch Kids, and Strawberry Shortcake in the 1980s might be excited to introduce these classic toys to their own children. A wide range of toys popular decades ago are still available on the market for a new generation to enjoy. 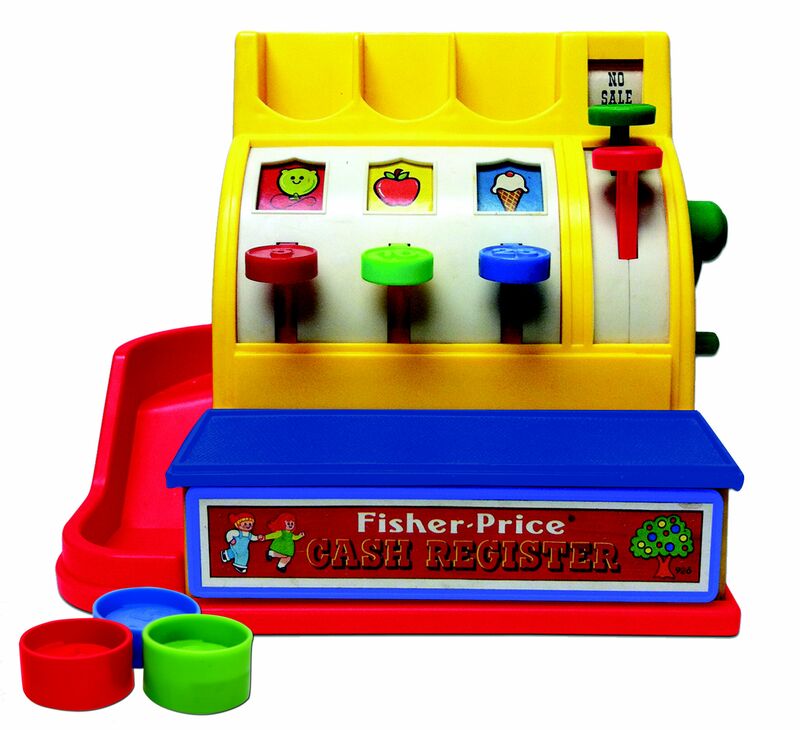 Fisher-Price sells a number of longtime favorite toys under the "Classics" line. This includes the Retro Cash Register, the Retro Record Player, Farmer Says See 'n Say, and the Retro Chatter Phone. Classic infant toys are still for sale, too, including Baby's First Blocks and the colorful Rock-a-Stack. If you were a little girl in the 1980s, you probably had a Strawberry Shortcake doll. Strawberry Shortcake is still available in both large rag dolls and many new 6-inch fashion dolls. Some dolls were reproduced to still resemble a classic Strawberry Shortcake, but there are many new, updated fashion dolls and playsets with Strawberry Shortcake and her gang of friends. Care Bears launched in 1981 as an illustration by Elena Kucharik to be used on greeting cards, but they later became the subject of TV shows, movies, and books, as well as popular merchandise. The brand has been relaunched multiple times since then, and stuffed bears—which come in multiple colors—are still popular toys. Lite-Brites first appeared on the market in 1967, but remained popular through the 1980s and beyond. The current iteration of Lite-Brite includes LED pegs. The pegs come in different sizes, making it quicker to complete, and templates are now re-usable. Like the Lite-Brite, the Big Wheel tricycle debuted in the late 1960s and has remained a classic toy throughout the decades. In 2009, it was inducted in the National Toy Hall of Fame, and in 2012, the Original Big Wheel re-emerged in toy aisles, with a product that has the look and feel of the original, but that is made entirely in the United States. There are even licensed versions for kids who want their bike to feature the Avengers, Teenage Mutant Ninja Turtles, or Frozen characters. Cabbage Patch Kids were one of the most popular toys of the 1980s and remain one of the longest-running doll franchises in America. As in decades past, children can still adopt their Cabbage Patch Kids baby dolls based on ethnicity and style; however, the dolls no longer have yarn-based hair. Instead, they have hair suitable for styling and a serious sense of fashion. First launched in 1988, Teenage Mutant Ninja Turtles continue to be featured in feature-length movies. Along with sword-flinging action figures, there are hubcap-launching Shellraisers and dart blasters, too. Each year, new interactive Ninja Turtle toys launch, including turtles that will appeal preschoolers, the Half-Shell Heroes. Hasbro debuted My LIttle Poy in 1981, originally under the name "My Pretty Pony." The My Little Pony characters are still featured in their own animated television shows, and Hasbro launched a new line in 2010. My Little Pony toys continue to be quite popular and have expanded to include themed-based play with castles, palaces, and remote controlled vehicles. The first generation of Transformers toys appeared in 1984, but as the years have gone by, they become more technologically advanced over the years as the characters transform from action figure into vehicles. Children who enjoy construction brick sets can also utilize pieces to build their own transformers. Rescue Bots toys, which are a spin-off for preschool-aged children, also bring the excitement of Transformers characters and vehicles to younger children. First developed in the 1980s, Pound Puppies spawned two TV series, a TV special, and a feature film. The line was originally introduced in the U.S. by Tonka, but relaunched by Funrise in 2014. They can be purchased in two sizes or as a keychain. Children can also name their puppy and register them online for adoption.